April 10, 2019 – CAPE CORAL, Fla. Eclipse Corporation and MC Integration announced today they have signed an agreement for an OEM partnership. This agreement brings together innovative integration and interoperability to improve user experience and creates a seamless interface for healthcare system integration. 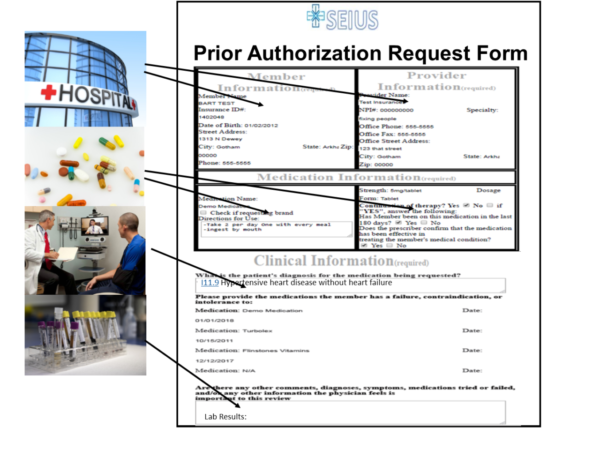 MC Integration’s SEIUS software provides their customers a common interface for multiple healthcare entities to work together. With DocOrigin software embedded in their new solution they can now produce one standard template so their customers don’t have to build unique forms for every entity. The combined integrated solution provides each healthcare facility with distinguishable features, improved user interface plus branding and localization for each form being produced. “Many people don’t realize that DocOrigin meets the complex document, form and label requirements for so many industries. MC Integration recognized that they are experts in healthcare systems integration and documents and forms are an important requirement in healthcare. This partnership allows MC Integration to stay focused on their expertise. Embedding DocOrigin provides their customers with a reliable, proven forms solution and they can stay focused on what they do best for their customers. Our combined solutions provide a seamless integration for their customers in the healthcare industry,” says Steve Luke, CEO of Eclipse Corporation. Eclipse Corporation is a leading provider of enterprise document design, presentation, generation, automation and customer communications management software. Eclipse works closely with clients to provide tailored solutions that conform to specific needs at a fair price. Eclipse’s principles are simple: provide the right solution and get the job done – on time. Our depth of knowledge and experience allows Eclipse to deliver on these principles every time. Eclipse’s enterprise software solutionsDocOrigin and Business Communications Center have replaced more than 4,000 legacy forms software installations in the past 6 years.